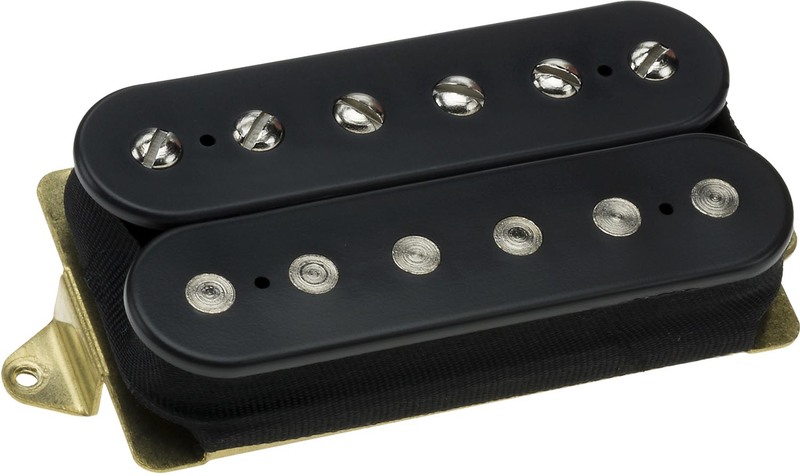 Have you ever heard a bridge pickup that made a guitar sound like a giant mosquito attack? If you've run into this problem, The DiMarzio Tone Zone® is the solution. The Tone Zone is hot enough to qualify as a high-output pickup, but it has a wider dynamic range — hard picking will produce a lot of power, and softer picking will be much cleaner and quieter. It's got tremendous bass and low-mid response to reinforce the bottom end and make the overall sound bigger. The highest single notes have depth, and chords sound huge. Patented dual-resonance coils reproduce more overtones than you'd expect from such a fat-sounding pickup. It makes a great match with an Air Norton™, PAF Joe™, or PAF Pro®, and split-coil mode produces an excellent single-coil sound as well. Many models can be used in the neck position along with the Tone Zone in the bridge position, from the Air Classic™ to the Air Zone™; the PAF Pro® and the FRED® are also good choices. Higher-output single-coil replacements like The Cruiser® and Fast Track 1™ are also recommended.